Would you Accept the Trend of Wearing Male Suits and Men Clothes? One of the fashion trends of the eighties, men’s tailored clothing designed for women, recently experienced a return to the fashion scene. This new trend is not only there for the ladies to look nice in it, but they can certainly walk with no extra effort for someone to notice them. Male suit gives a kind of security to women. 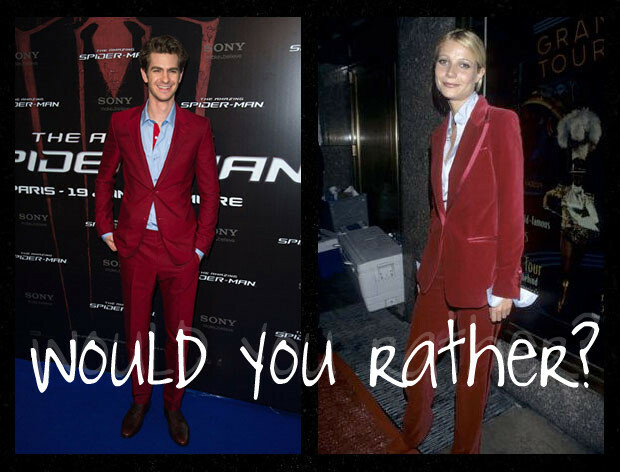 Gwyneth Paltrow and Kara Delevingne these days can be seen in interesting male outfits. Female Fatal gives you some examples of how to wear men’s outfits, take a look and make your own combination! Unnecessary Cosmetics! Cosmetic Products You Don’t Need!